Sometimes, when you’re going through a rough time, or when depression may be showing its ugly face again, it may be hard to feel grateful for what you do have. It’s easy to despair when chronic illness causes debilitating pain, or when luck doesn’t seem to be on your side. But even during these difficult times, it’s important to remember the things you should be grateful for. Indeed, developing a gratitude habit could actually help you through these tough times. Even if the world seems against you, chances are, if you’re reading this, you have a lot to be thankful for. 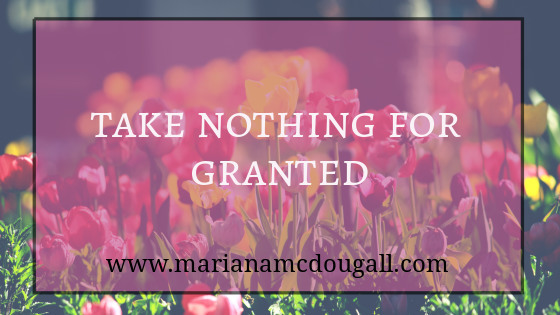 Take nothing for granted. Remember your good fortune, even in the middle of a crisis. Doing so will help you to find the silver linings in every situation, and in turn, will help you lead a happier life. 1. If you’re reading this, you have an Internet connection. Even if you’re borrowing your friend’s laptop or cell phone, or visiting the library so you can use the Internet for free, you have a way of getting information and connecting with the world. Don’t take this for granted, as not everyone is granted this luxury. 2. If you’re reading this, you probably have enough to eat. If you can use a phone or computer, you’re probably able to purchase enough food to not go hungry. Or you have the skills to access a Food Bank or ask your neighbourhood friends to help you. And if you have a phone or computer but can’t do these things, you need to shift your priorities a little. 3. If you’re reading this, you probably have clean water to drink. And even if your community is under a boil water advisory, you probably can still turn on the faucet instead of travelling for hours before carrying a heavy water bucket back to your community. Clean water should be a basic right, yet many the world over view it as a luxury, because they have no other choice. These three things may seem so simple that it’s hard to feel grateful for them, especially in times of crisis. But developing a gratitude habit is an act of taking absolutely nothing for granted. Remember to be thankful for the little things, and soon enough, the bigger things will find you (or you’ll have enough gratitude and energy to find them). 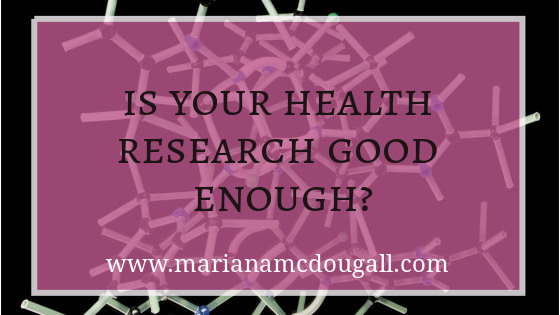 Is Your Health Research Good Enough? The age of information has several advantages. It’s never been easier to find answers to burning questions. With a few taps of a keyboard, a sea of information can be yours, and research has moved beyond card catalogues and long hours in libraries (though you should still spend long hours in the library). I’m experimenting with a new way of writing down my memories. I’d love to know what you think. Do you like this type of writing, or do you prefer a simple “this is what we did” account? We are truly enjoying our nomad lifestyle so far. I love life on the road; it feels like home to me. I’ve always enjoyed travel and adventure, and after turning our first dream into a goal and accomplishing it, it was that much easier to make other dreams into reality. Some families certainly inspired us along the way. Whether they’re temporarily or permanently nomadic, here are a few families that inspire us to fulfill our travel dreams. Check out their blogs; you won’t be disappointed. 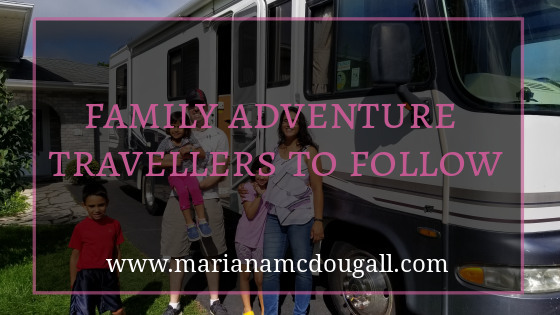 I’ve followed this family for a while, and I love the tips they share about the travelling life with kids. 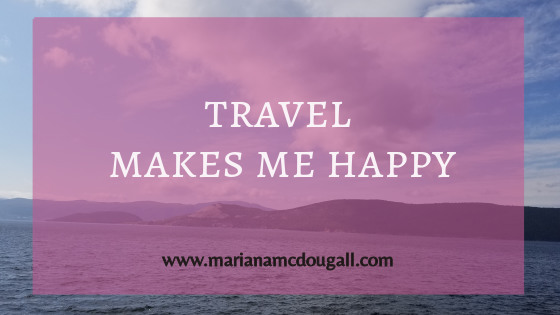 They’ve been travelling the world by plane for many years, and I especially love the way they showhe road can actually be much cheaper than staying at home. I love this family and their RV’ing adventure. 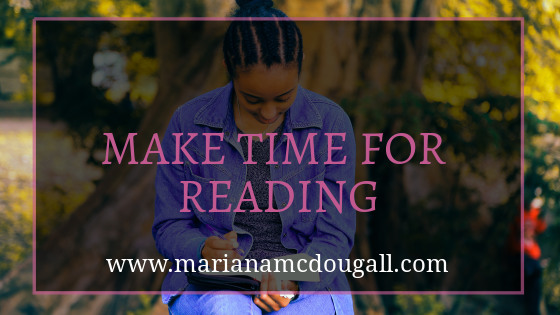 They share lots of awesome reviews about the places they visit, as well as tips on how to build a bridge business before making your blog your main income earner. I’ve learned a lot from them, and I think you’ll love their blog. Another family I follow on Instagram is TheDirtBagBaby. These awesome adventurers set off on the Apalachian Trail when their baby was just 1 year old, and through-hiked. Then they set off on a mountain bike adventure. They’re well worth following for family adventure inspiration. If you can think of a type of family travel, this family’s done it. They share tips about how to travel and work remotely, how to take a sabbatical, how to allow children to attend school in different countries, and more. 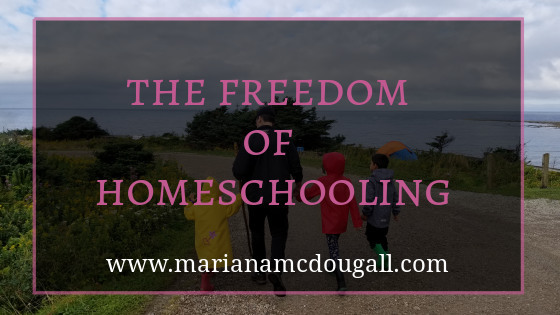 If homeschooling isn’t for you, but you still want to travel with your kids on a regular basis, the tips this family offers will give you a glimpse of what’s possible. Do You Believe in Romance After Kids? Romance after kids: Is it possible? I’m not going to lie: romance after kids is hard. After having my third child, romance fell to the bottom of my priority list. Between diaper changes (and EC life), caring for two toddlers while breastfeeding and getting used to a newborn, keeping up a house and cooking, there wasn’t much time left for anything else. By the end of the day, I was completely exhausted, and I just wanted to sleep. And many moms of young children feel the same way. But it doesn’t have to be like this. Keeping the romance alive in your marriage is not only possible, it’s an important part of a thriving relationship. It’s a sad statistic that 13% of marriages end within 5 years of a child being born. But it’s also not difficult to see why. You’re adding a whole new person to your life, after all, and priorities certainly shift when this happens. A baby needs their parents 24/7, and there’s often resentment on the primary caregiver’s part when their partner isn’t as involved as they should be. There’s also the sheer exhaustion of interrupted and low quality sleep, because babies don’t care how tired you are. While dealing with all of this, it’s no surprise that some (or a lot) of stress is added to your marriage. But there are some things you can do to make romance after baby a reality. Here are some tips. Before any tips will work, it’s important to remember that when you have young children, the ability to adapt is paramount. So maybe you can’t leave your newborn, breastfeeding baby for three days while you go on a romantic vacation, but you can certainly still have a few romantic moments. For example, you could get a baby carrier and take a stroll holding your partner’s hand. It’s not a honeymoon in the Bahamas, but it’s something. 2. Make date nights at home a regular thing. Sometimes, moms and dads alike are way too tired to get out of the house after caring for baby. When that’s the case, a romantic date night at home makes sense. You can have dinner by candlelight with baby nearby, watch a movie or an episode of a TV show while sharing a drink (yes, breastfeeding mothers can drink in moderation), or look at old photos together. The options are limitless; you just have to be a little creative. 3. Show your partner your appreciation. Whether it’s thanking them for doing their part in the hard job of parenting, telling them you love them on a frequent basis, or committing to giving them a passionate kiss everyday, show your partner you love them and appreciate them, despite your shifted priorities. 4. Remember: the days are long, but the years are short. Don’t let the stress of parenting take away from the love that made you a parent in the first place. Sometimes, when we’re exhausted, it’s easy to only see the negatives. Remember to see the positives, too—chances are, your partner is also exhausted and you both need each other’s support. And if you really feel like you’re taking the brunt of the parenting tasks, it’s time to ask for help. 5. Communicate clearly about your needs. 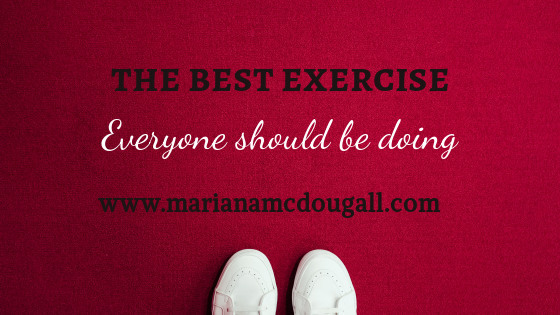 If you’re exhausted and feel that you need more help, simply ask. Many women complain that their partners aren’t involved enough in household and parenting duties; yet, they have never spoken to their spouse about their frustration. Your partner can’t read your mind, so it’s important that you simply ask for the help you need. Tell your partner lovingly and specifically what kind of help you require. You will probably get the help you need, and save yourself a lot of resentment and friction in your marriage. Remember to keep communicating, set aside at least one day a week when you spend some one-on-one time with your spouse (even if it’s with baby in tow), and remember the love that made you parents in the first place. How do you keep romance alive in your marriage? 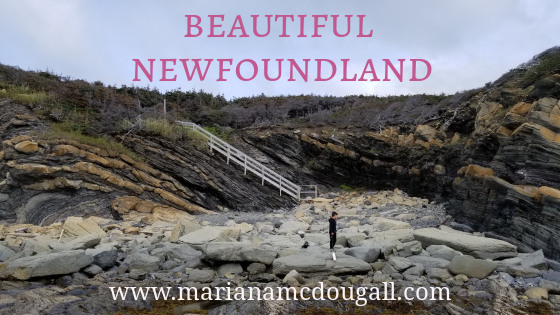 A long time ago, I had decided I’d write a quick post about something I was thankful for each day. Reality is that publishing this post every day just didn’t happen. But I do want to try this again, so I’m going to try and see if I can at least publish one post per week about the things I’m thankful for. And what better day to do it than on #ThankfulThursday? 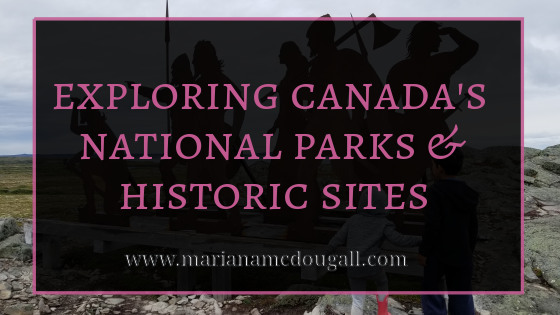 Exploring Canada’s National Parks & Historic Sites! Our time in New Brunswick was short, but really memorable. Back in Quebec, we decided to purchase a Discovery Pass, and I’m really glad we did. The Discovery Pass grants you entry to all of Canada’s National Parks and several historic sites, so it’s totally worth it if you plan on visiting more than 2 or 3 of these places in a year. The pass is for 12 months, so it’ll last us until next year, which is great.